Trailer Door Caddies is rated 4.40 out of 5 by 8. I bought this for my horse trailer and it's perfect. Easy to install with the included hardware. The standard sized bottles for fly spray etc., fit perfect into the pockets, and did not fall out. Not even while driving on rough dirt roads. I am very happy with this product. Quality of the hangers is far better than the other I have purchased in the past. Others have all torn at the point were you hang the bag. Exactly what we wanted. Fast shipping. 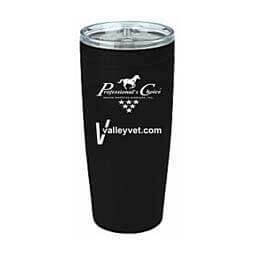 Love Valley Vet! I have purchased several of these organizers. Â One for the tack room door of the barn, one for the trailer tack room door, and some for friends when they buy a trailer (new or used) that doesn't already have a door caddie. Â The are very handy to have for LOTS of storage. Â As a mother with children that always want to help brush the horses these caddies give the children an easy place to get/put away brushes. Bought for my two horse trailer door. Works well. Wish it had a bigger sleeve to hold fly spray.